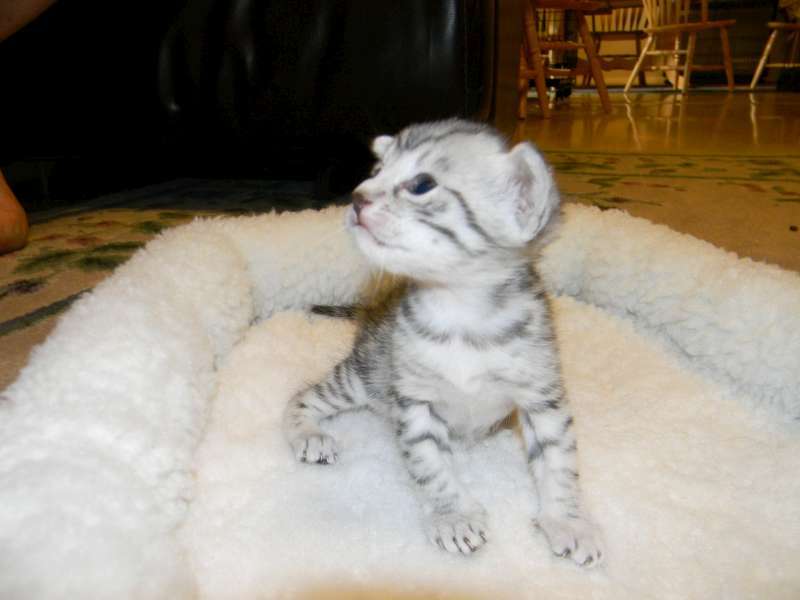 Kali is the older of Amun-Ra soon to be fur sisters. 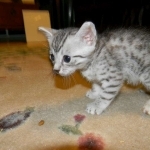 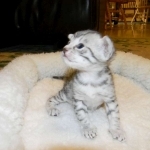 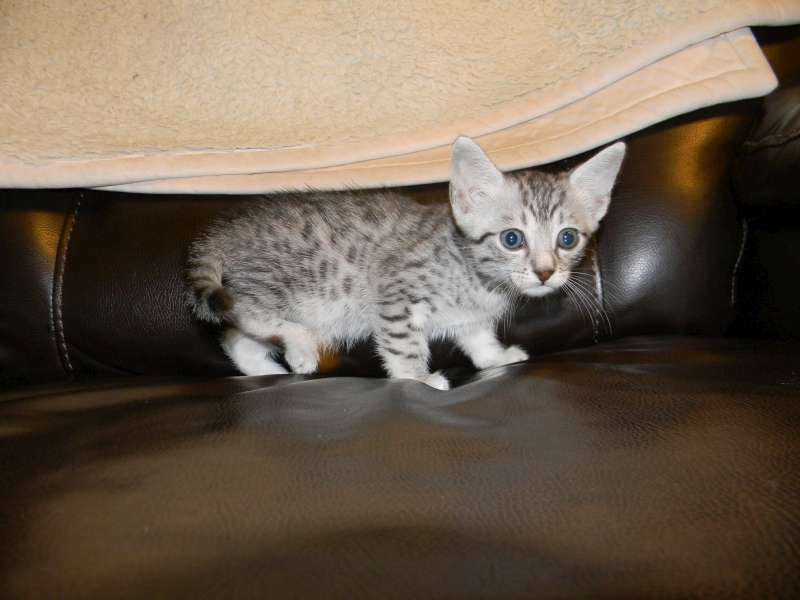 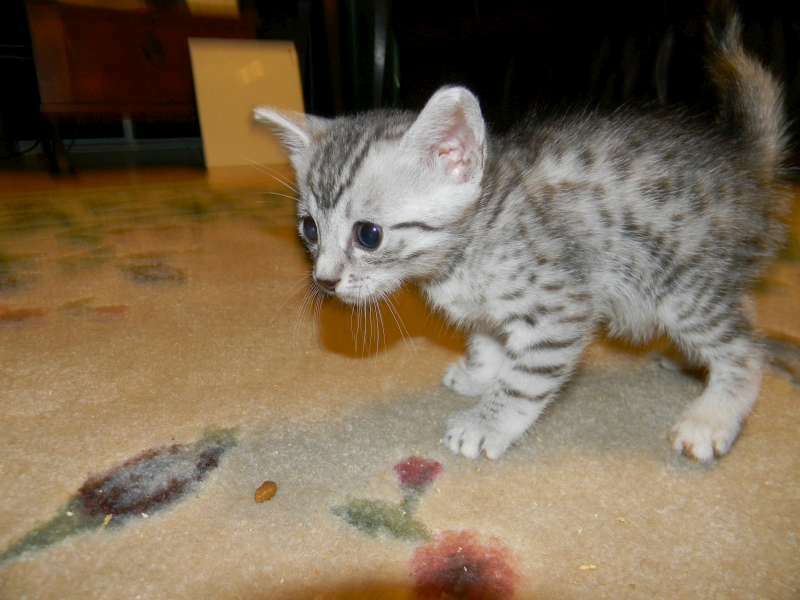 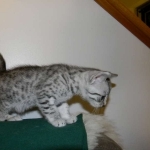 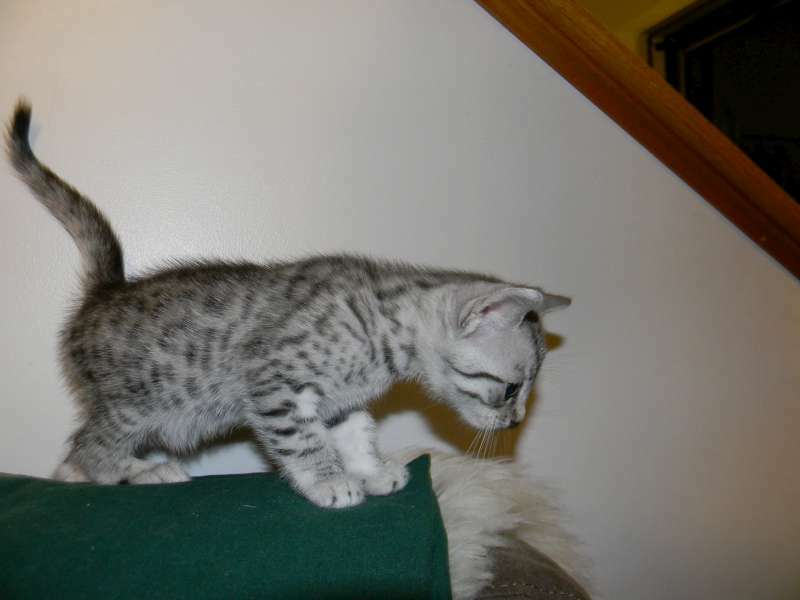 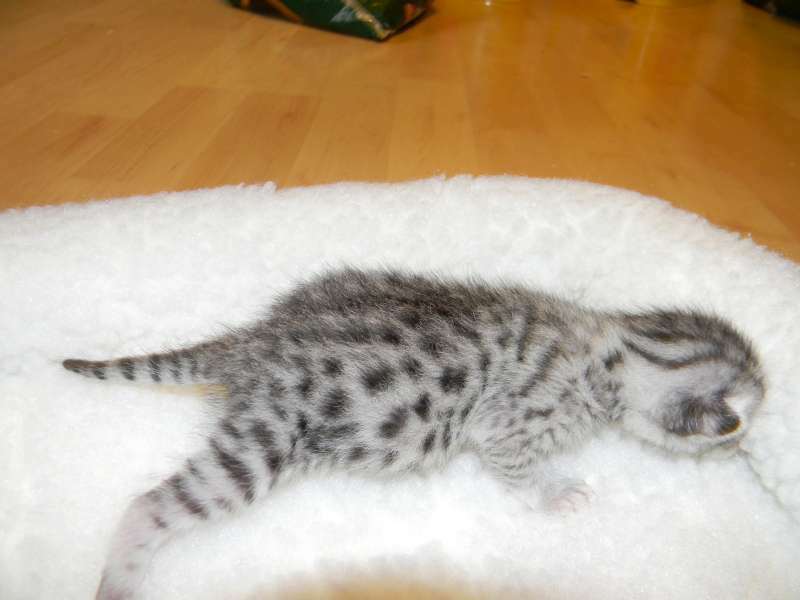 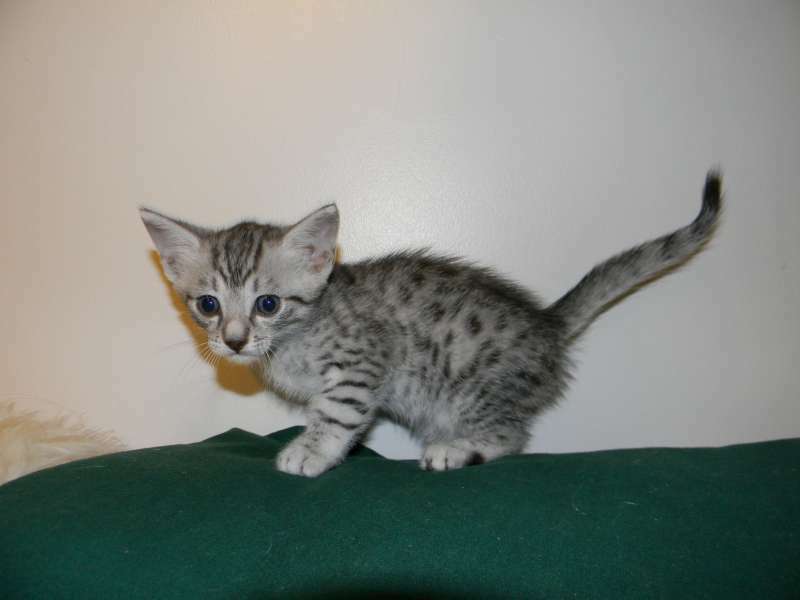 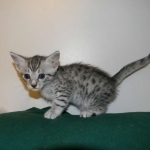 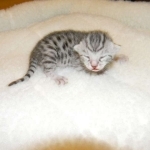 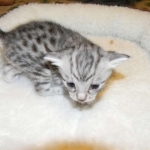 Look at the spots on this little egyptian mau boy! 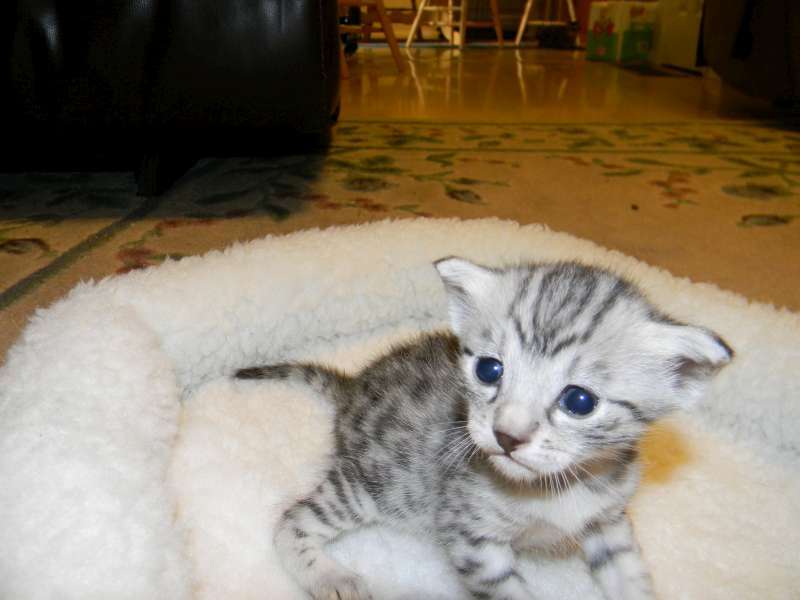 Amun Ra has a beautiful little mau face already. 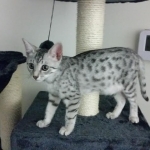 Nika is Amun-Ra's other younger fur sister. 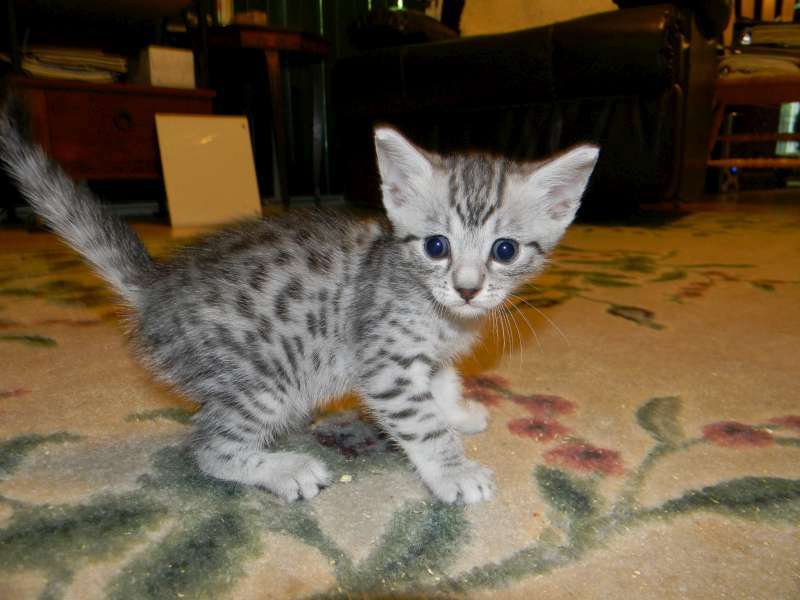 Up around now little Mau Ra is a stunningly spotted boy! 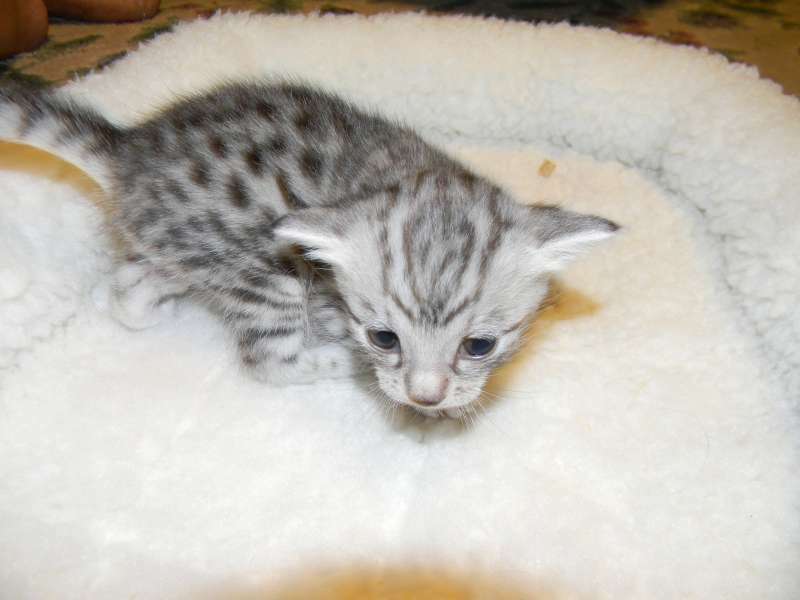 Just become aware of everything around him, little Mau Ra looks for reassurance. 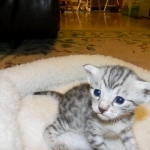 I see mischief in those little Egyptian Mau eyes!! 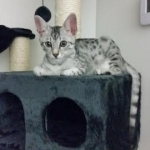 Just full of mischief little Ra is up and running! 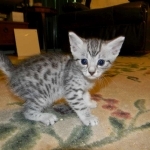 This little Mau boy is just beautiful! 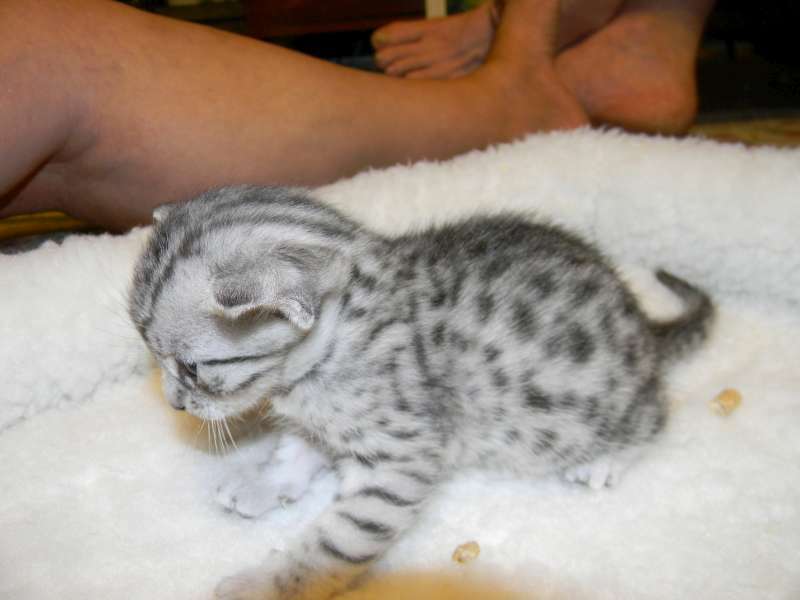 Growing fast he will be ready to go home before you know it! 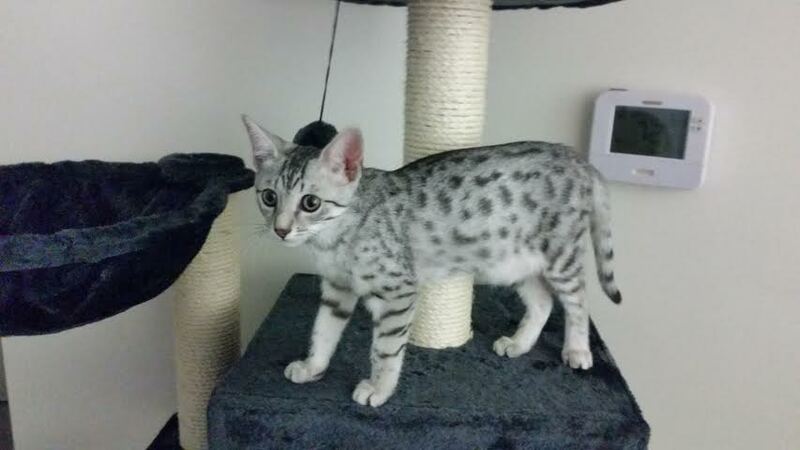 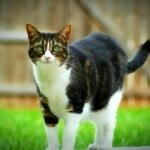 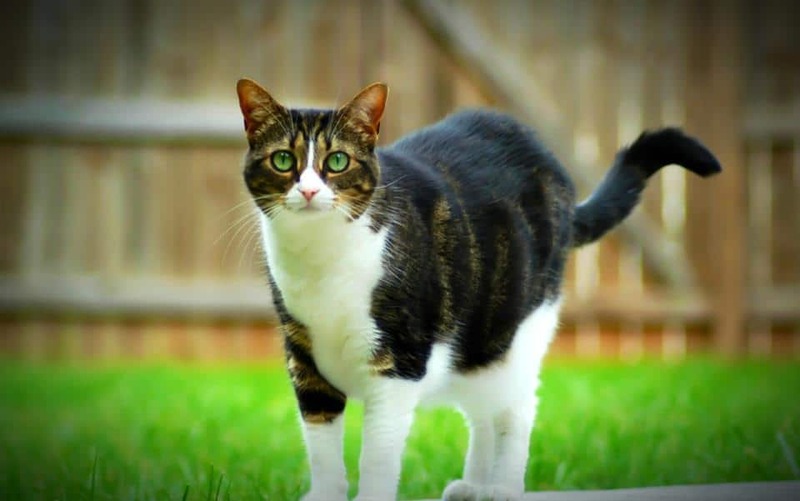 Strutting his spotted Mau stuff! 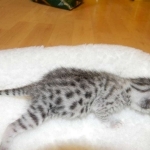 Happy Holidays to you and the crew. 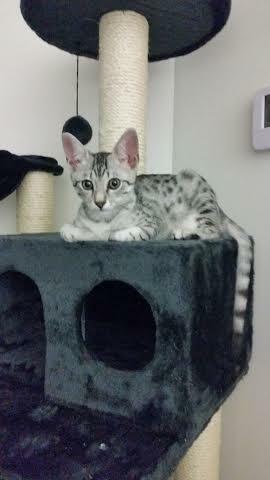 Ra is getting big (5.22lbs today) he loves the new tree he and his sisters got for early Christmas. 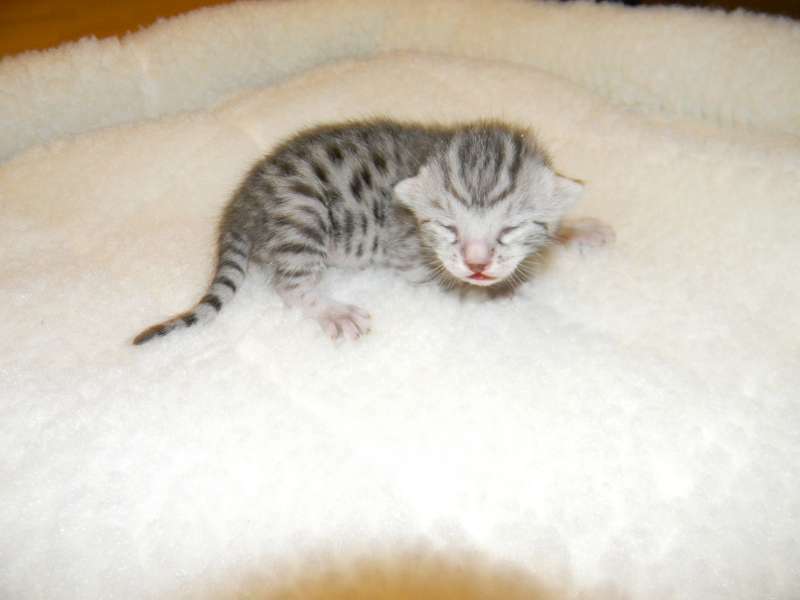 He is my sweet little boy. 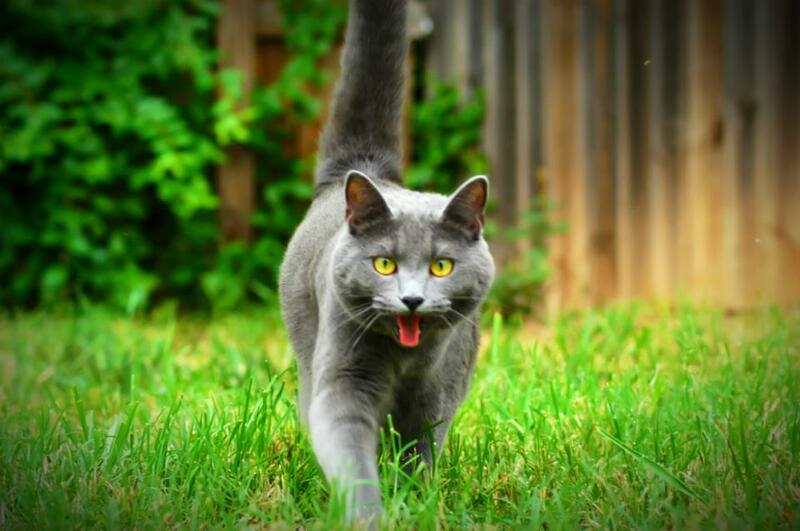 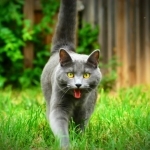 Plays fetch (even knows to get the ball or mouse by name) and loves everyone! 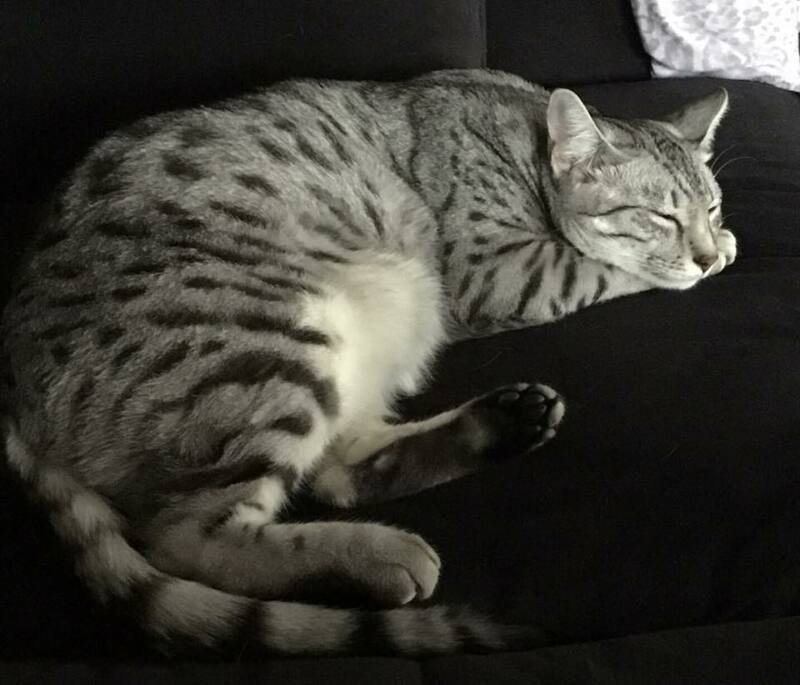 Thanks again for bringing this little sun god to our lives! 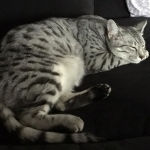 Amun-Ra Weinberger wishes you a Happy New Year!